Predator Touch HMI v11.0.6.13 has been released. This upgrade adds support for Balluff RFID readers and controllers. RFID tags are commonly used with tool holders, fixtures, and parts. A wide range of manufacturing automation is possible when RFID, Predator Touch HMI, and the other Predator applications are used together. For example, a machinist can load tool offsets with a single button click based on tool’s current RFID tag with Predator DNC. 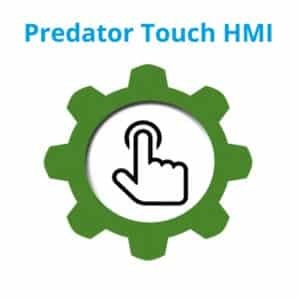 Predator Touch HMI v11.0.0.11 has been released. This upgrade adds an automatic timeout option and a single-tasking option when launching applications. These improvements are for customers that require fine control of operator input from their HMIs.